Are Cash House Buyers in Miramar Trustworthy? There are frequent times, and a variety of reasons that South Florida homeowners are faced with a need to sell their house fast. Often, it is for distressing situations involving inheritance, divorce, foreclosure, and financial implication. An option that is becoming more and more popular is selling to a company of cash house buyers. You’ll find no shortage of cash home buyers in Broward, Miami-Dade, Palm Beach, or any South Florida County. Cash buying companies, also known as independent real estate investment firms, buy homes in Miramar and all over South Florida buy properties very quickly for cash in as-is condition. The issue however, is that not all home buying companies are created equally. A seemingly obvious tenant to look for when seeking out a home investor is to find one that you can easily reach and communicate with. Speaking and meeting face to face with a home buyer ensures you’re not subject to fraud, and gives you some peace of mind that you found a trustworthy professional to purchase your estate. The team at Your Florida House Buyers always insists on meeting our clients eye to eye to discuss how a cash sale to our firm can benefit both parties. Not only that, but we want to guide you and make sure you understand the entire cash for houses process, and that you’re educated on your options with your property. We understand that a home sale can be a frustrating and confusing endeavor especially if you don’t have the knowledge or experience to navigate the convoluted South Florida real estate market. We want to work with you every step of the way and help make this process so much easier for you and assist you when you decide to sell your Miramar home. The entire idea behind a firm of cash house buyers is the notion that the company has CASH available to purchase your home. 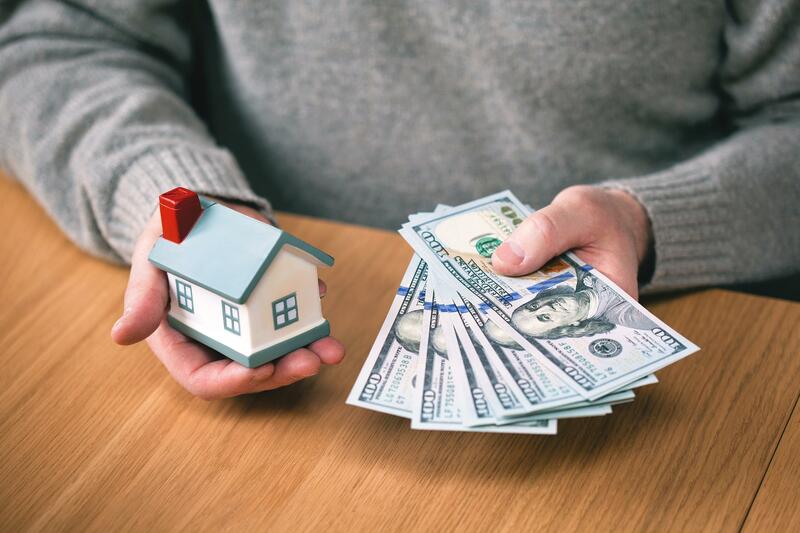 Our firm has the financial capital to provide an as-is offer in cash for your home, and having this backing allows us to do so in an almost immediate fashion. The first step the process of our firm purchasing your real estate property, is having you fill out a brief information form concerning some of the specifics of your home. Once we have this information, we will be in contact with you about coming out to take an initial viewing of your home, and we will provide you with not only a valuation of the property, but make an offer within 24 hours. There is no need feel any kind of anxiety related to our initial home evaluation, as stated previously, we offer cash for houses in any condition. No matter what state your home, be it disrepair, or more serious issues like foreclosure, we still want to buy your house. Some cash home buyers will pressure or strong-arm sellers to close a deal even when it may not be in their best interests. Your Florida House Buyers conduct our business relationships to quite the contrary. Our philosophy and mission is to provide both value and service. As a professional home buyer, of course we make a profit on our purchases, but we do so with a no pressure, and no hassle process to you, the seller. We want to relieve the stresses of dealing with an unwanted real estate burden, not compile them. Keep in mind that we are here to help. Our process is a no obligation option for home sellers. We want to take your call, discuss your property, and provide you with a free property report. We enjoy buying Miramar houses, and we enjoy our clients. Though we do acquire homes with the ultimate goal in mind of making a profit, the last thing we want is property acquisition at the cost of losing a valued client. Professionalism is paramount in selecting a qualified South Florida cash home buyer. A professional and trustworthy will never charge you fees simply to inspect your home, or pressure you in entering any contract. Sell Your Miramar House Fast Today! So if you’ve said to yourself “I need to sell my house fast,” we certainly hope to be the company that you decide to call. We want to buy your home, not list it so if looking for a quick resolution in selling your home, we think Your Florida House Buyers might be an ideal option to suit your needs. We will buy your house with an all cash offer. No waiting on loan approvals! After we look at your home and you agree with our evaluation, we close on our offer within 10 days. Want another bonus of buying with us? NO closing costs! If you sell your property to us, we promise to not only relieve you of the stress, anxiety and uncertainty of waiting, but also pay all of your closing costs. 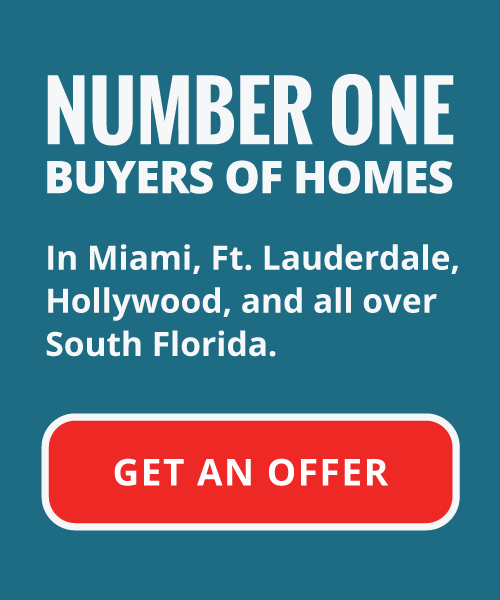 If you’re looking to sell your home in Miramar, or any of the other South Florida regions that we service, we recommend giving us a try in helping you alleviate your real estate burdens. Contact us today for a free, no risk, no obligation, cash offer on your South Florida property. Now you can sell your home quickly to a trustworthy and reliable real estate investment firm company and get yourself out from underneath your unwanted property; allowing you to start the process of moving on in the next phase of your life. GET A CA$H OFFER ON YOUR HOUSE TODAY! We provide mutually beneficial options in helping homeowners escape unfortunate financial situations. Foreclosure, tenant issues, probate, even damaged homes; none of these are an issue for us. 2000 Ponce de Leon Blvd. Send us your email, and we will contact you with more information! I will contact you soon!